Is America Possible Without the Immigrant? 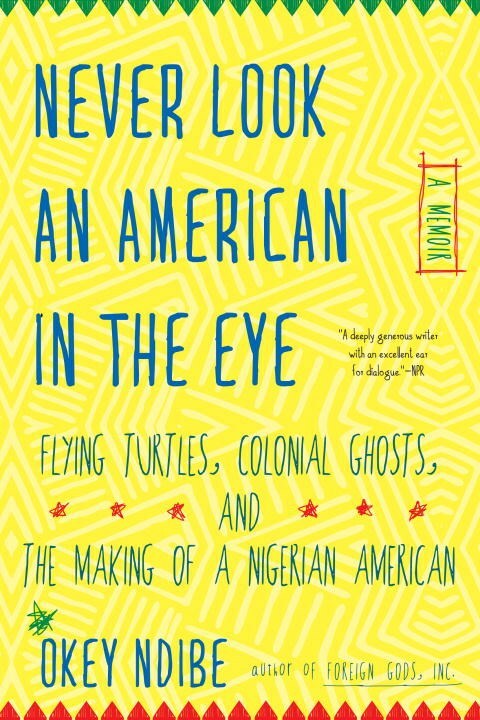 Okey Ndibe is the author of the 2016 memoir, Never Look an American in the Eye: A Memoir of Flying Turtles, Colonial Ghosts, and the making of a Nigerian American—a funny, charming, and penetrating memoir telling of his move from Nigeria to America, which won the 2017 Connecticut Book Award; and two novels Arrows of Rain (2015) and Foreign Gods, Inc. (2014) which was named as a Top Ten Book of 2014 by Janet Maslin of The New York Times as well as the Philadelphia Inquirer, Cleveland Plain Dealer, and Mosaic Magazine; it was also included in National Public Radio’s list of best books of 2014. About Foreign Gods, Inc Booklist writes: “With piercing psychological insight and biting commentary on the challenges faced by immigrants, the novel is as full-blooded and fierce as the war deity who drives the story.” In all of his writing, Ndibe touches in different ways on themes central to his own experiences in Nigeria, the challenges of immigrating to the United States, and conflicts with the Nigerian government. Ndibe is co-editor of Writers Writing on Conflicts and Wars in Africa, with Zimbabwean writer Chenjerai Hove. He is currently working on a novel entitled Return Flights. Ndibe first came to the US to be the founding editor of African Commentary, a US-based international magazine published by the late great novelist, and Ndibe’s mentor, Chinua Achebe. (Among the magazine’s columnists were Achebe, Nadine Gordimer, Kofi Awoonor, John Edgar Wideman, and Fela Anikulapo-Kuti.) He later served as an editorial writer for the Hartford Courant, the oldest continuously published newspaper in the US, where his essay, “Eyes To The Ground: The Perils of the Black Student,” was chosen by the Association of Opinion Page Editors as the best opinion piece in an American newspaper in 2000, and another essay, “Unwarranted Graphic Authentication,” was named the 2001 best opinion piece by the Connecticut chapter of the Society of Professional Journalists. His award-winning journalism has appeared in The New York Times, BBC online, Al Jazeera online, Financial Times, Fabian Society Journal, and the Daily Sun (Nigeria), where his widely syndicated weekly column appears. Ndibe earned MFA and PhD degrees from the University of Massachusetts at Amherst and has taught at Brown University, Trinity College, Simon’s Rock College, Connecticut College, the University of Lagos as a Fulbright scholar. In 2015-2016 he served as a Black Mountain Institute fellow at the University of Las Vegas, Nevada, and in 2017-2018 he was the Viebranz Professor of fiction at St. Lawrence University in Canton, NY. Nigerian-born Okey Ndibe is a novelist, memoirist, political commentator, and essayist. He is the author of Never Look an American in the Eye: A Memoir of Flying Turtles, Colonial Ghosts, and the making of a Nigerian American; and the novels Arrows of Rain and Foreign Gods, Inc. His award winning journalism has appeared in The New York Times, BBC online, Al Jazeera online, Financial Times, Fabian Society Journal, and the (Nigerian) Daily Sun, where his widely syndicated weekly column appears. Ndibe first came to the US to be the founding editor of African Commentary, a US-based international magazine published by the late great novelist Chinua Achebe. Okey Ndibe’s funny, charming, and penetrating memoir tells of his move from Nigeria to America, where he came to edit the influential—but forever teetering on the verge of insolvency—African Commentary magazine. It recounts stories of Ndibe’s relationships with Chinua Achebe, Wole Soyinka, and other literary figures; examines the differences between Nigerian and American etiquette and politics; recalls an incident of racial profiling just 13 days after he arrived in the US, in which he was mistaken for a bank robber; considers American stereotypes about Africa (and vice-versa); and juxtaposes African folk tales with Wall Street trickery. All these stories and more come together in a generous, encompassing book about the making of a writer and a new American. This follow-up novel from the author of the powerful, universally acclaimed Foreign Gods, Inc. looks at a woman’s drowning and the ensuing investigation in an emerging African nation. A young prostitute runs into the sea and drowns. The last man who spoke to her, the “madman” Bukuru, is asked to account for her death. His shocking revelations land him in court. Alone and undefended, Bukuru must calculate the cost of silence in the face of rampant corruption and state-sponsored violence against women. Arrows of Rain dramatizes the relationship between an individual and the modern African state. Okey Ndibe examines the erosion of moral insight in both public and private life, drawing out the complex factors behind the near-collapse of a nation. 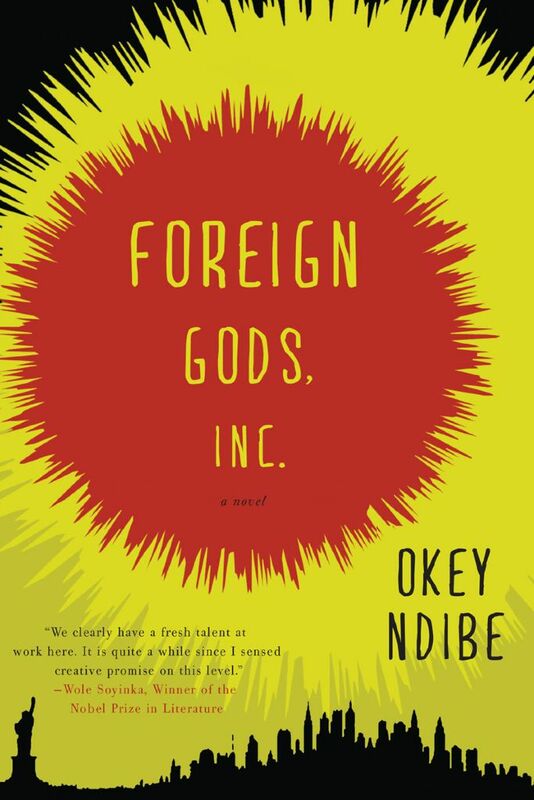 Foreign Gods, Inc., tells the story of Ike, a New York-based Nigerian cab driver who sets out to steal the statue of an ancient war deity from his home village and sell it to a New York gallery. Ike’s plan is fueled by desperation. Despite a degree in economics from a major American college, his strong accent has barred him from the corporate world. Forced to eke out a living as a cab driver, he is unable to manage the emotional and material needs of a temperamental African American bride and a widowed mother demanding financial support. When he turns to gambling, his mounting losses compound his woes. And so he travels back to Nigeria to steal the statue, where he has to deal with old friends, family, and a mounting conflict between those in the village who worship the deity, and those who practice Christianity. A meditation on the dreams, promises and frustrations of the immigrant life in America; the nature and impact of religious conflicts; an examination of the ways in which modern culture creates or heightens infatuation with the “exotic,” including the desire to own strange objects and hanker after ineffable illusions; and an exploration of the shifting nature of memory, Foreign Gods is a brilliant work of fiction that illuminates our globally interconnected world like no other. I spent much of my childhood drifting in and out of dreams. Sometimes I pined for a piping-hot plate of pounded yam and egusi soup filled with succulent meat, beef bones with coagulant marrows I could suction into my mouth with just the right sucking kiss, soft fresh fish that melted on the tongue, and hard, chewy smoked or stockfish that, one day, I overheard an elder castigate as nutritionless, even though he saluted it for working the dentures to stalwart strength. I dared to dream in the day, wide eyed, often as I listened to my parents’ catechism that a good name, which they had in ample supply, surpassed riches, which they didn’t have. Sometimes, seized by boldness, I disdained dreams of food. Even though I lay on a mat, huddled with my siblings in a cramped room, I entertained no curbs to my dreams. Many a night, ensconced in that room that at times reeked of piss, often from my production line, I fought off the languor of sleep. Awake or half asleep, I prodded myself to turn away from mere matters of food. Instead, I cast my mind to more ambitious planes. Sometimes my fancy would fasten on a car. I would picture myself owning a marvel of an automobile. It was always a Mercedes, a Citroën, or a Volvo. I imagined myself behind the wheel, my hands lightly placed on the steering wheel, the chassis a gleaming wonder, the engine as soft and dainty as the English accent. When the car ran into potholes, it did not whine. Bumps did not shake it, could not speak to it. Sometimes, I yearned for yet grander escapades. I would block out the symphony of snores that filled the stifling sleep room. Then I would ready myself and soar, off to faraway places. That was how, sometime just before I entered secondary school in 1973, my itch for America began. America had not been my first childhood dream. Long, long before America, it was England that occupied my dreams. Nor was America even in second place. That position belonged, once upon a time, to the Union of Soviet Socialist Republics (USSR). By the mid-1970s, each of these three foreign addresses seemed to me mythically remote—and, for that reason, alluring. Each enchanted me in its own manner.